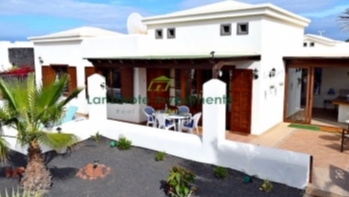 Detached 3 bedroom 2 bathroom villa with 1 bedroom 1 bathroom annex plus a private pool and private driveway. 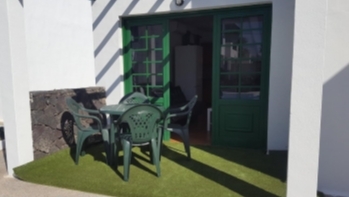 This beautiful detached villa is situated in a quiet residential street which is close to both the main beaches and Old Town of Puerto del Carmen. Comprising of a main house plus a separate annex. 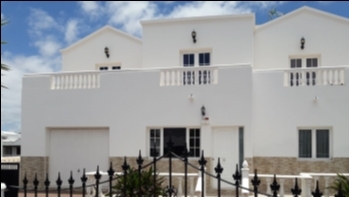 The main house has 3 large bedrooms, 2 bathrooms - 1 on each floor - a separate full fitted kitchen with solana, very large lounge with dining area and patio doors which lead out on to the private pool area. Outside you will find the separate annex which has 1 bedroom, bathroom and a lounge area which is ideal for families with older children or for visiting guests. 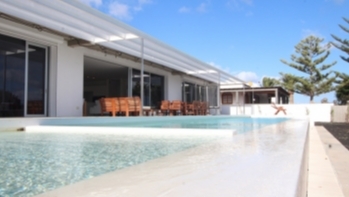 The private pool is gated for childrens safety and has plenty of terrace space for dining outside. Surrounded by mature gardens this area is totally secluded. There is also private off street parking for 2 cars. This villa is ideal for a family home and is in excellent condition throughout.